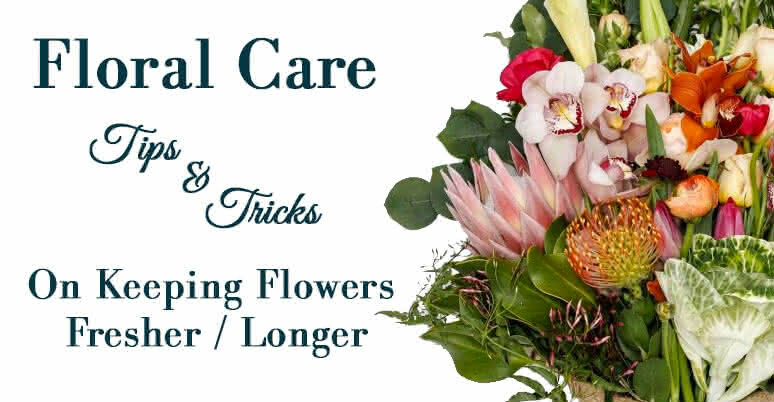 A little extra care can make a big difference for any size flower arrangement or fresh flower bouquet. 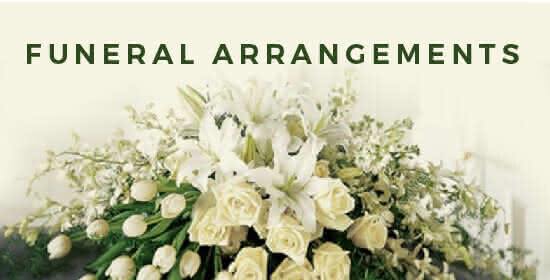 Most floral arrangements last 5-7 days or longer, depending on the flowers used and the care they receive. 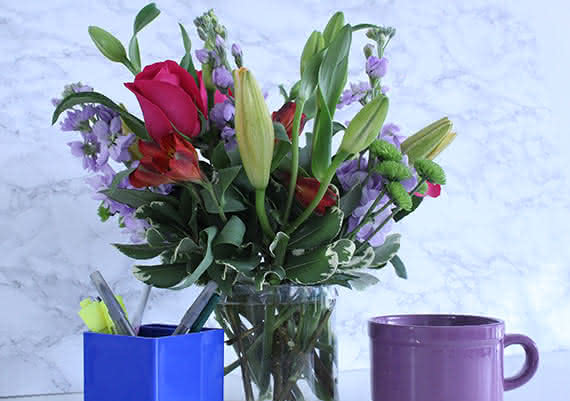 Below are some quick tips from The Society of American Florists on how to prolong the life of your beautiful arrangements for longer-lasting, more vibrant flowers. 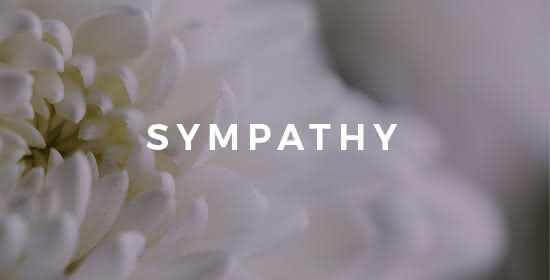 Many people are often frustrated by how short-lived a bouquet may be once they get it home. They may forget that fresh cut flowers are still living entities that can be encouraged to last much longer under the right conditions. The following tips will help make your flowers last longer. 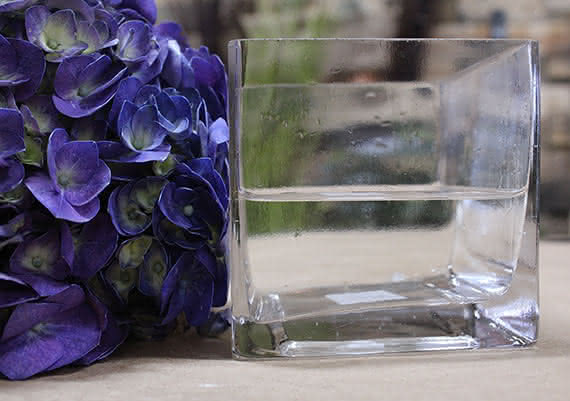 Always keep the vase, container or liner filled with fresh water. If the vessel contains floral foam, keep the foam wet and the water level above the foam. Completely change the water every few days, washing the vessel with soap and warm water to remove any bacteria. Ensure the water is room-temperature when re-filling the vessel, and mix in the flower food provided as per instructions on packet. 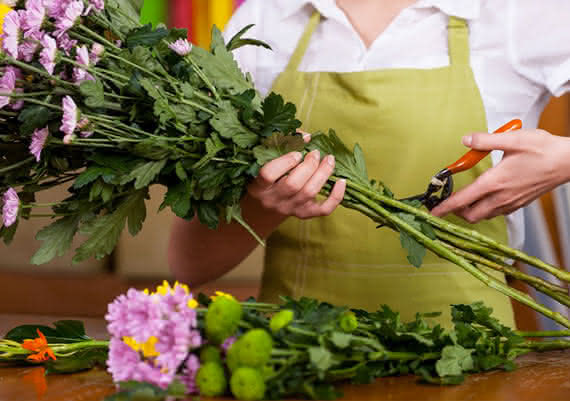 Trim stems when water is changed, and remove any wilting leaves/flowers. Use a sharp knife or snips to cut the stems at a clean angle to promote water absorption. 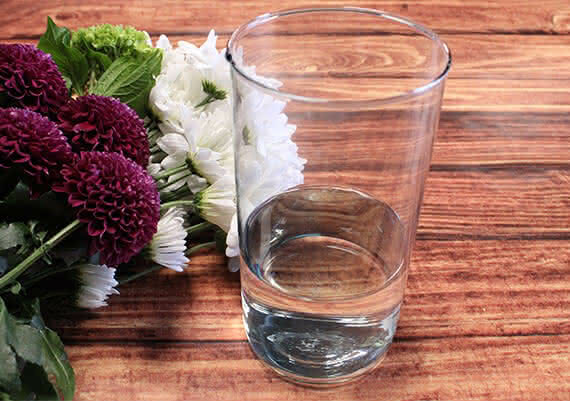 Remove any floral or foliage that falls below the water line to keep the water bacteria-free. Immediately place cut stems into water for maximum absorption. Most flowers prefer temperatures between 65 to 72 degrees Fahrenheit, and out of direct sunlight. Keep away from air vents and electronics which give off heat and cause dehydration. Also keep away from fresh fruit, as the gas ripening fruit release can age the floral.